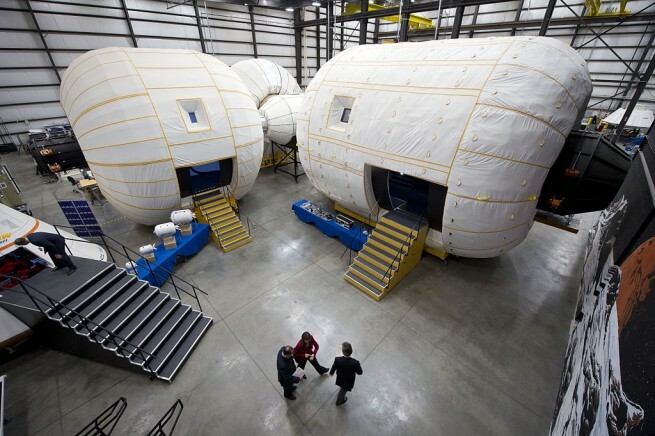 Bigelow Aerospace of Las Vegas, Nevada, has entered into a joint agreement with NASA to leverage the company’s B330 inflatable space habitat for use with NASA’s human space flight program. With the space agency eyeing deep space destinations – such as an asteroid and perhaps one day Mars – the systems could enable crews to travel deeper into the Solar System than humans have ever been to do before. Using a NextSTEP contract, Bigelow will work with NASA to investigate how the B330 platform might be used to support robust, safe, and affordable human spaceflight to the Moon and Mars. The B330, unlike traditional space station habitats, is an inflatable design. The advantage is you gain more volume for a given mass. For example, the Destiny module on the International Space Station (ISS) is a 15-ton section with a volume of 3,743 cubic feet (106 cubic meters). The B330 has a mass of approximately 20 tons but has a gigantic 11,654 cubic feet (330 cubic meters) of interior volume. The advantages of the inflatable habitat do not end there. The B330 has superior ballistics protection to the ISS, something to consider when dealing with potential micrometeorites. Any small object penetrating the outer Kevlar shell will break into many smaller pieces and become embedded in the flexible foam and Kevlar layers. With 24 to 36 layers (depending on location) the B330 can be as hard as concrete when fully expanded. Additionally, the B330 has radiation shielding equivalent to the ISS to protect the crew from solar storms. The B330 is equipped with solar panels, thermal radiators, and large windows and is capable of supporting a crew of six. The B300 evolved from the Genesis I and II modules that Bigelow Aerospace had launched into space. Those technology demonstrators were born out of the NASA project known as TransHab. The TransHab was an inflatable module designed for the ISS but was ultimately cancelled in 1999 due to budget constraints. 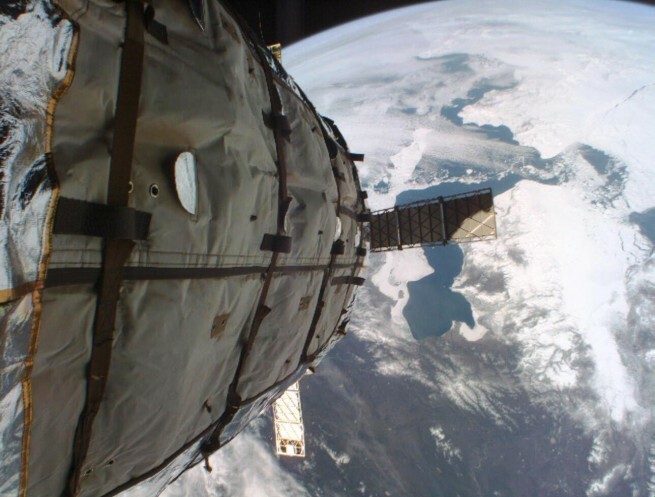 The module would have provided a 4 level 27.5 feet (8.4 meters) diameter habitat for the astronauts. After TransHab was cancelled, Bigelow worked with NASA on a technology transfer, giving Bigelow Aerospace exclusive rights to the technology. Using this technology, Bigelow designed, built and launched two technology demonstrators. They are still on orbit today. Genesis I was launched in 2006 with its sister ship launching in 2007. Both ships tested flight operations processes and onboard electronics and have performed above design specifications. The B330 will initially be deployed to low-Earth orbit (LEO) for testing. The design will also be used for several private sector stations hosting a variety of commercial operations. NASA has been directed to send a crew to retrieve part of an asteroid and tow into lunar orbit, and to send astronauts to Mars sometime in the 2030s; however, the agency’s current head, Charles Bolden, has stated the agency won’t be sending crews to the Moon anytime in the foreseeable future (according to a report appearing on Space.com). Did not NASA enter contracts with a number of companies besides Bigalow for habitats? I still think I have the fission engine. I hear Bigelow Aerospace has been going through some financial troubles lately & I think someone important to the company has died recently. Hope that doesn’t effect the B330’s inaugural flight in 2020.